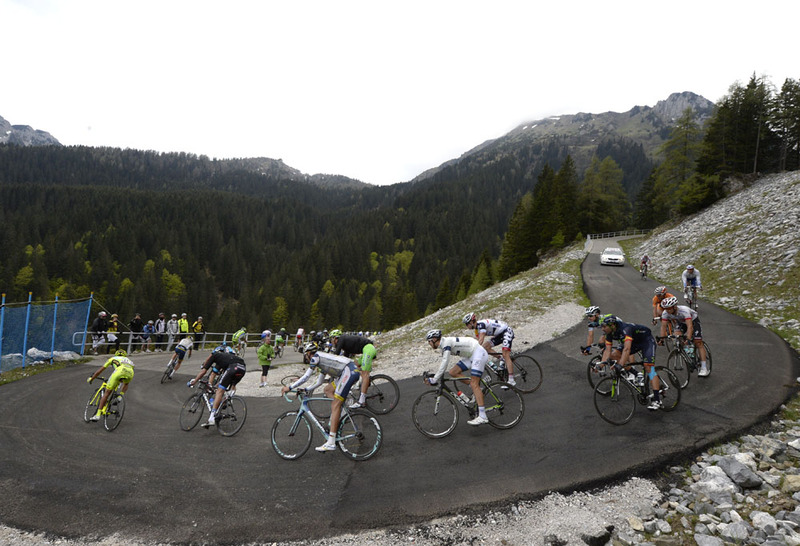 The 2013 Giro d’Italia hit the high mountains today and the mountains hit hard back. 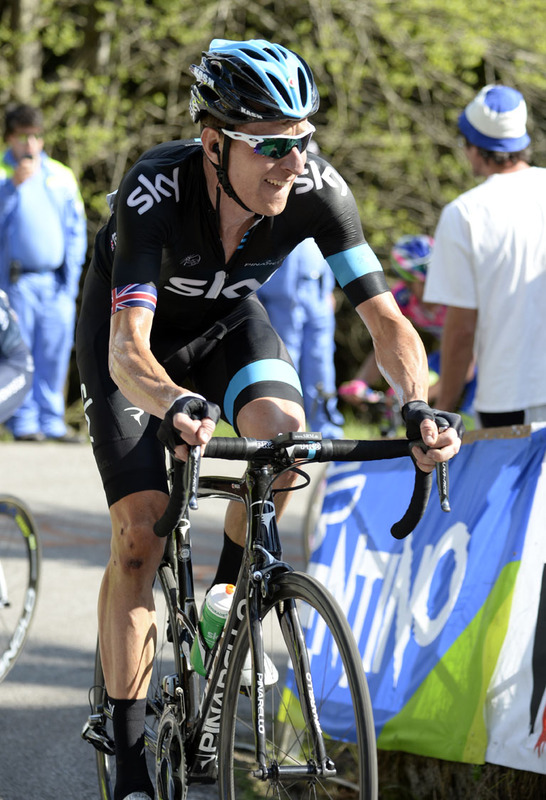 By the end of the stage at Altopiano del Montasio, last year’s winner Ryder Hesjedal(Garmin-Sharp) had been eliminated from the overall running and Bradley Wiggins (Sky) lost more time on the final climb’s 20% slopes. 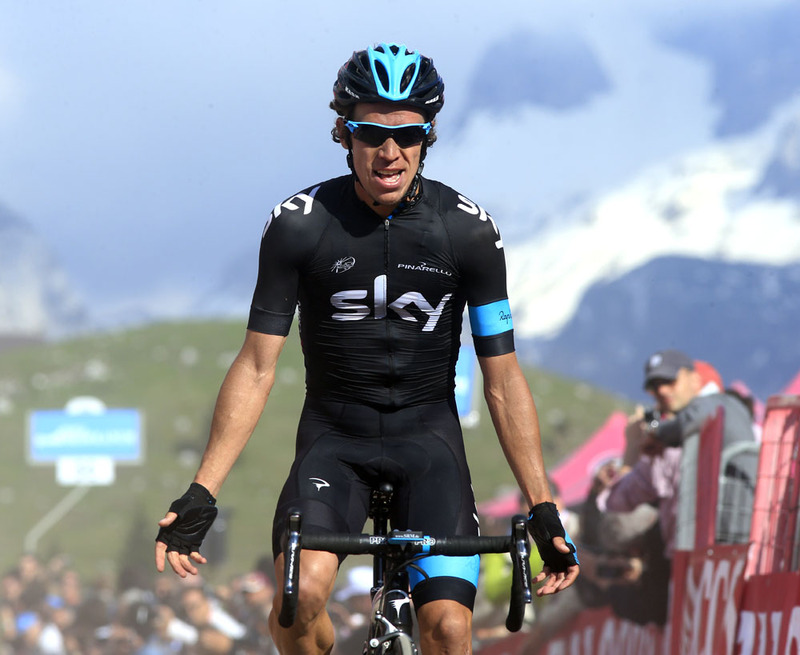 It was a day of mixed fortunes for Sky, however, as Colombian Rigoberto Uran romped home to the stage win after freely riding away from the favourites’ group with 8km to go. He was followed in by compatriot Carlos Betancur (Ag2r-La Mondiale), who didn’t repeat Sunday’s mistake of thinking he’d won the stage this time. Behind, Vincenzo Nibali (Astana) sprinted home ahead of Cadel Evans (BMC) and three other riders, compounding the 37 seconds gained on Wiggins with an eight-second time bonus for third place. 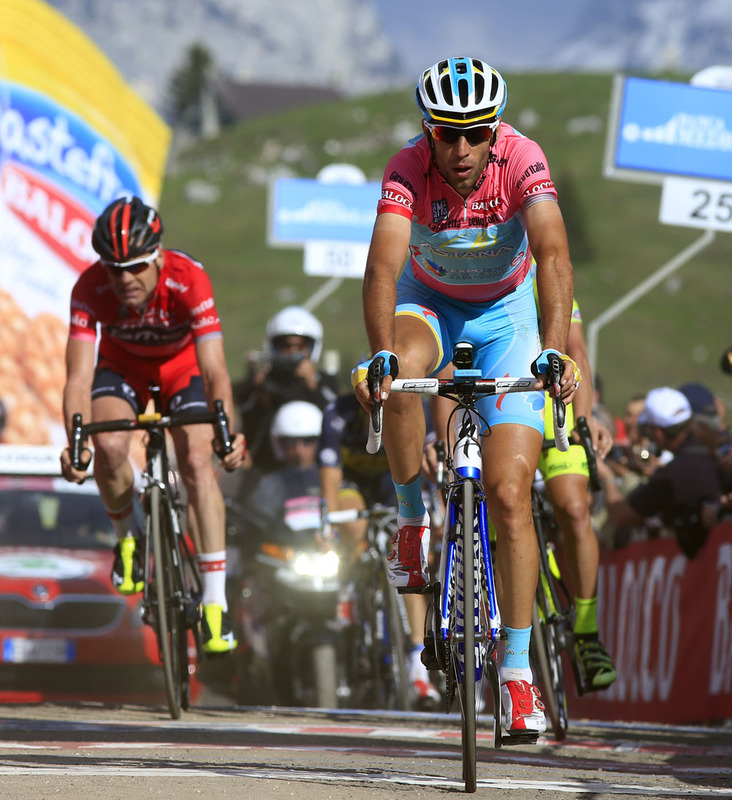 Nibali thus maintains his grip on the pink jersey with Wiggins slipping over two minutes behind him in fourth place. Uran meanwhile has moved up the rankings one second ahead of him at 2-04. Whereas it was wet descents that had troubled Wiggins earlier in the race, it was the severity of the gradient in the last 5km that cost him today. With Uran already up the road having put in a lone unchallenged dig with 8km to go, the move came from Domenico Pozzovivo (Ag2r-La Mondiale) as the narrow road reared up to maximum gradient with 3.3km remaining. 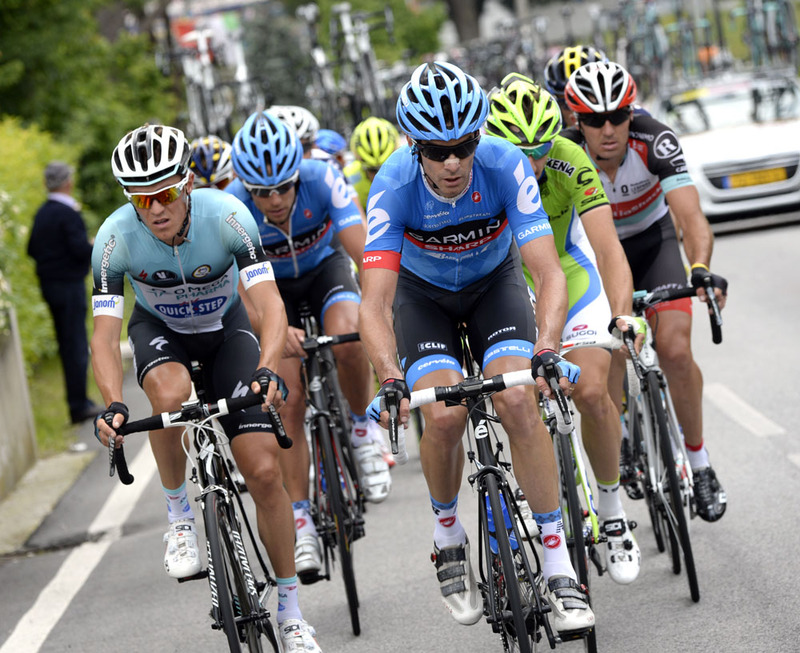 While other rivals responded, Wiggins tried to soak up the sudden acceleration from within thesaddle. Although he appeared to pace himself well, catching and passing several other riders, he could not regain the small group that formed around Nibali and Evans. For Hesjedal, however, his deficits are far less recoverable. Distanced under pressure from Team Sky on the day’s other key climb, Passo Cason Di Lanza, he came in 20-53 down on Uran. He now sits 33rd overall. 7. Domenico Pozzovivo (Ita) Ag2r-La Mondiale all at st.